Are you thinking about Category Management Certification? Category Management certification has been around for about 7 years now, with professional standards, certification levels and requirements developed by the Category Management Association. Many retail and vendor/manufacturer organizations, solution providers and individuals have supported and invested in certification since Donna Frazier (the founder of the CMA) started with a vision many years ago. This blog post isn't a sales pitch on certification. 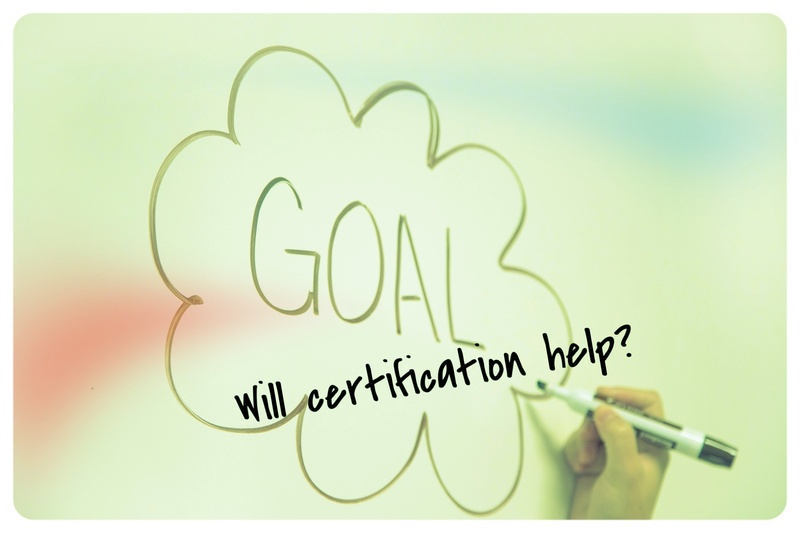 The certification question is really up to each individual and organization to determine the value of certification based on their priorities and needs. As an owner of an accredited category management training company that did invest in certification and continues to work closely with the CMA, I've compiled a set of questions and answers that will help you better understand how to approach certification if it’s something of interest to you. answers to commonly asked questions that we address daily with clients, students and our network regarding certification. 1. What are the different levels of category management certification and the requirements for each level? The other qualification for certification at every level is that you pass the online, proctored exam for each level of certification (at a cost that is paid directly to the CMA). The experience, plus successfully passing the proctored exam for the CPCA, CPCM or CPSA will give you certification for that level. These proctored exams are what’s new to the CMA and their certification requirements. Remember, the skills that you develop by becoming proficient at different certification levels are ones that will benefit you in any career you choose in the future. Each certification title comes with a certain level of expectation in terms of capability, training and experience. So don't think about it as just getting a piece of paper, but as a means for you to build your critical thinking, analytic and presentation skills to perform better in your role, get that next promotion, stand out amongst your peers or change to a new and exciting career in category management. 2. What is the format of the certification exam at each level? The CPCA Exam is a proctored (by the CMA), multiple-choice exam that consists of 60 questions. Individuals are given 75 minutes to complete the exam. The CPCA Exam is segmented, and questions are asked for all Learning Programs (based on the CPCA certification requirements as defined by the CMA). The CPCM Exam is a proctored (by the CMA), multiple-choice exam that consists of 70 questions. Individuals are given 90 minutes to complete the exam. The CPCM Exam is segmented, and questions are asked for all Learning Programs (based on the CPCM certification requirements as defined by the CMA). The CPSA Exam is structured differently, with essay type questions and a longer time to complete the exam. 3. How do I know what level of certification I qualify for? First of all, consider the # of years of experience required for each level. Second, you should review the professional certification standards at each level by visiting the CMA Certification Page. If you find knowledge gaps or need additional help in any of the standards, you can get training in those areas. Remember that passing the exam and receiving the piece of paper doesn’t guarantee that you will acquire the necessary skills to perform at that level. See Question #5 below for more details on how to determine your certification level (Practice Exams). 4. How do I get started in the process of certification with the Category Management Association? STEP #1: Choose a level or levels that you’d like to attain and make sure you’re prepared. Take practice exams, get trained in knowledge gap areas and study so you can pass the certification exam. Find a training company that can set you up with everything you need to meet the standards and attain certification with the necessary skills. See #5 below for details on preparing for your exams (Review & Study). STEP #2: Sign up to register with the CMA. STEP #3: Register for certification (and pay the administration fee). Click here for current certification costs from the CMA. STEP #4: Schedule your certification exam for your respective certification level (CPCA, CPCM or CPSA) 3 days prior to writing the exam, and pay the certification fee to the CMA. A unique link is provided for each candidate to access their exam. STEP #5: Take your exam in a proctored site (meaning that someone on the other side is monitoring you while you write your exam). STEP #6: Receive your exam grade immediately after the exam. Within 7 business days you will receive an official certification status report from the CMA. Of note, if you want to write the certification exam for CPCM certification, you will need to successfully pass the CPCA exam first. If you want to write the certification exam for CPSA certification, you will need to have successfully passed both the CPCA and CPCM exams. 5. How do I prepare for my CMA certification exam(s)? It will depend on the standards for the specific level. You may have access to internal training through your Learning & Training or Human Resources department. Accredited training companies can also set you up with online training, preparation and resources. Take practice exams to see how you'll score on the actual proctored exam or see which level(s) you are close to. Good practice exams will help you identify areas where you need to focus further studying, and will NOT just give you a pass/fail result. Review and study. Use your training notes from past training programs you’ve taken and use them to your advantage. Resources your internal training department or external training company may provide you enough content to adequately prepare. Or, consider purchasing preparatory materials to help get you ready. Both practice exams and preparatory exam materials are available through CMKG at the CPCA and CPCM levels. “Be Prepared” before you write your proctored certification exam with the CMA so you can avoid re-take fees and save time and money. “Be Aware” that the approach to certification has changed with the CMA, and your approach to preparing for certification must change accordingly. “Be Informed” that all preparatory materials are not created equal and that there are options that will help set you up for a successful future beyond the exam. Want to learn more about meeting your category management certification needs? Choose one of the options below.